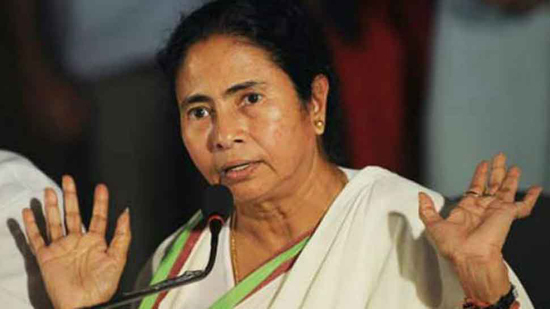 Kolkata, Nov 08:Once again coming down heavily on demonetisation, West Bengal Chief Minister on Thursday said the Union Government ‘cheated the nation with this big demonetisation scam as it ruined the economy and the lives of millions’. ‘ #DarkDay Today is the second anniversary of Demonetisation disaster. From the moment it was announced I said so. Renowned economists, common people and all experts now all agree, ‘ Ms Banerjee said in social media. ‘ The government cheated our nation with this big Demonetisation scam. It ruined the economy and the lives of millions. People will punish those who did this, ‘ the Chief Minister asserted. ‘ However, Ms Banerjee stood out for having the foresight to condemn this dire step in no uncertain terms from day one. She was the first and certainly the most strident critic of this ill-thought-out step, and still continues to be so. In fact, her first series of tweets went out on November 8 itself, and they spread like wildfire and gave courage to many to come out openly against demonetisation in the coming days, months and years. The people of the country suffered endlessly for this little-planned step of the Central Government. More than 130 people died just because of ill-health from standing for hours in queues in front of banks, trying to exchange their currency notes, ‘ it added. ‘ Not just that, the Prime Minister’s promise of all problems being solved by December 30, the last day of demonetisation, turned out to be a mirage. The desert of despair spread far and wide, and parched dry people’s livelihoods and savings. Demonetisation and the resultant shortage of currency notes caused many small business establishments to down shutters. As a result, the workers working there lost their jobs – a few lakhs across the country. The closing down of businesses caused a huge loss to the economy of the country, from which it is yet to recover fully, ‘ the statement mentioned. ‘ After November 8, Ms Banerjee continued tweeting out her thoughts on demonetisation, and still does whenever required. She never forgets to remind people of the cruel step taken. Alongside, she wrote a book and a poem too, condemning the Centre’s decision. The book, Note Katha, and the poem, deal with all the troubles which demonetisation caused to the common people. The book was released at the 2017 Kolkata International Book Fair and became a bestseller, ‘ it stated. During the period of demonetisation, Ms Banerjee led several street protests and multi-party public meetings across the State and the country – in Kolkata and other places in Bengal, and in Delhi, Lucknow and Patna, the statement said adding everyone rallied around her and extended their support to her, and gathered courage to lead further protests in their own ways. ‘ Trinamool Congress Members of Parliament organised protests at Parliament and led efforts in cornering the Central Government inside both Houses of Parliament on the issue. The Trinamool Congress Government in Bengal was not just content with protesting. It did its best in helping people. The Samarthan Scheme was introduced to help people who had to return to the State after losing their jobs, especially those doing contract-based and odd jobs, to start their own businesses. It was a much-appreciated effort, ‘ the statement iterated. ‘ Ms Banerjee continues to speak out against demonetisation, and has made it a plank to attack the atrocious governance of the government at the Centre. Her foresight, quick thinking and courageous step on that fateful night of November 8, the ripples from which soon turned into a high tide of condemnation country-wide, will forever be remembered in the modern history of India, ‘ the statement also mentioned. To ameliorate the condition of the people, especially from the unorganised sector, who had lost their jobs as a result of the implementation of the policy of demonetisation and had thus returned to Bengal, the State Government started the Samarthan Scheme. The scheme was announced during the presentation of the State Budget. Under the scheme, a one-time grant of Rs 50,000 was given to each of 50,000 workers to start their own business so that they can earn their livelihood. the gazette notification for the scheme was published on February 23. Since the districts most affected by demonetisation are Purba Medinipur, Paschim Medinipur, Bardhaman, Birbhum, Nadia, Murshidabad, Uttar Dinajpur, Dakshin Dinajpur, Cooch Behar and Howrah, in phase-I the scheme was implemented in these ten districts. In other districts, district magistrates assessed the situation and the number of affected persons and intimated the data to the Labour Department.